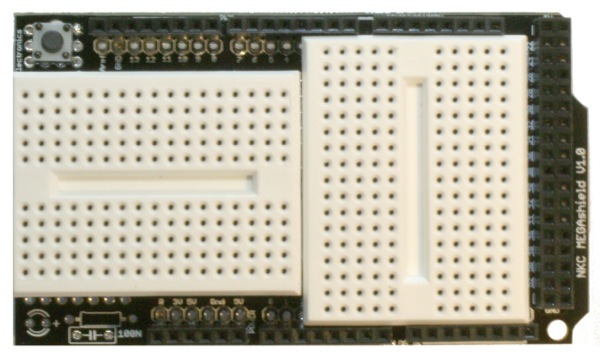 This is a prototype shield for the Arduino Mega. I've purchased two mini bread boards for adding components. They fit precisely into the space between the pins. In order to reset the Arduino Mega, I've also added a pushbutton which is connects the reset pin to the ground.